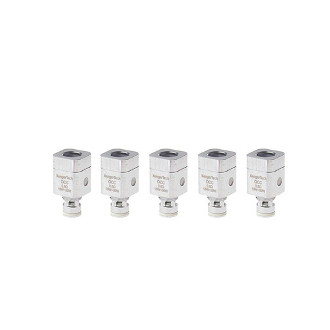 SubTank Mini OCC square metal coil helps deliver powerful smoke, while the organic Japanese cotton inside the coils give you fantastic flavor. They are simple and easy to replace. Once you taste or see that your coil is going out, simply unscrew the coil from your base and throw it away. Grab a new coil, screw it on, and continue vaping.